No metal. Any metal or metal springs can amplify electro-smog and geopathic stress. And change the polarity of the compass directions (you can check that by dragging a compass alongside a mattress with metal springs – you’ll see that the compass needle changes the direction significantly). Organic. Any chemicals can affect your health. Proper support. Some latex or foam mattress won’t give your body proper support which can affect the quality of your sleep. No reflective heat. Some foam mattresses reflect heat, making sleep very uncomfortable, especially during hot weather. A cool environment is essential for a good quality sleep. The mattress shouldn’t mould into your body too much. Research suggests that mattresses that mould too much restrict natural body micro-movements that release stress and tension during sleep. 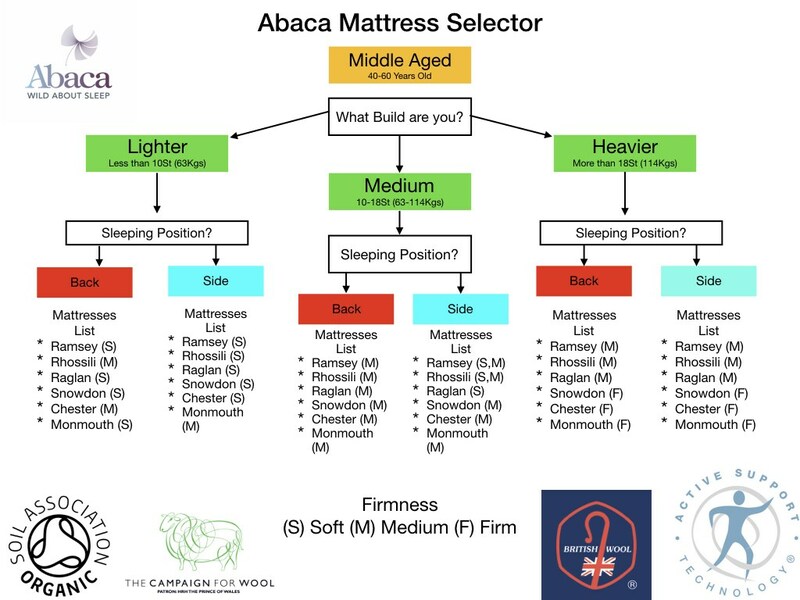 Abaca latex mattresses fulfil the above criteria. As early as 500 BC, Mayans and Aztecs used latex for waterproofing purposes and also heated it to make toy balls. 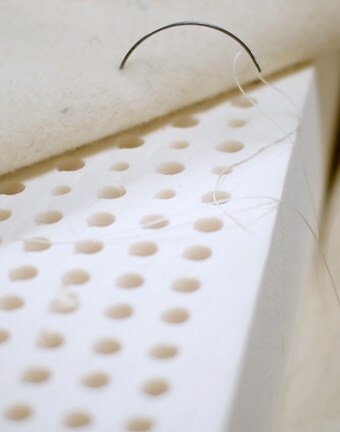 So why is this material such a great component in a mattress? Derived from the rubber tree, latex is the most naturally durable cushioning material available. It is made from a milky substance that drips from the rubber tree when the bark is slashed. The process does no harm to the tree and latex is an entirely sustainable product. During the production process which converts the latex from a liquid, the resin is whipped and baked. The finished product is naturally biodegradable. The main ingredient in the manufacture of a natural latex pad is simply natural rubber, at 90 to 95%. Some other ingredients are necessary for the vulcanisation, foaming and curing process, but these are largely ‘cooked out’ leaving a final product which is 99% natural rubber. To ensure that the product is as clean as possible it is washed a minimum of three times before the manufacturing process is complete. Natural latex may cost more but is non-toxic. When buying a latex mattress it is wise to follow the principle of ‘ buyer beware ’as there are so-called ‘organic’ latex mattresses being sold which are actually made from styrene-butadiene which is an entirely man-made material. The foam in these mattresses is grey as opposed to the cream of natural latex. If you are in any doubt, ask for a sample! Natural latex is anti-microbial, dust-mite resistant, and hypo-allergenic. It dynamically conforms to you, providing excellent support. By gently conforming to your every contour, latex provides superior back support and outstanding pressure relief. Relieving pressure reduces the tossing and turning that interrupts sleep. Abaca latex mattresses are certified as organic by the Soil Association. To purchase your organic mattress visit Abaca organic mattresses website. If you quote my name JAN CISEK when ordering a mattress you’ll receive 10% discount. Posted in Feng shui for bedroom.